Angelina Jolie shares a complicated relationship with her dad Jon Voight. A daughter's relationship with her father can be complicated in the least trying of circumstances. In Hollywood stardom, youthful rebellion, a rough divorce, crossed communication wires and miles of distance, physical and emotional, and there's a recipe for two people to grow further and further apart. Even the most fractured of relations can be repaired when the timing is right and, despite various periods of separation, Angelina Jolie and her father, Jon Voight, who's celebrated his 80th birthday last Saturday, reconnected in recent years. Angelina Jolie and Jon Voight made no secret that their relationship is, at best, complicated. Jolie opened hostility for her father for years, while Voight executed innumerable public pleas to mend their paternal bond well over a decade. 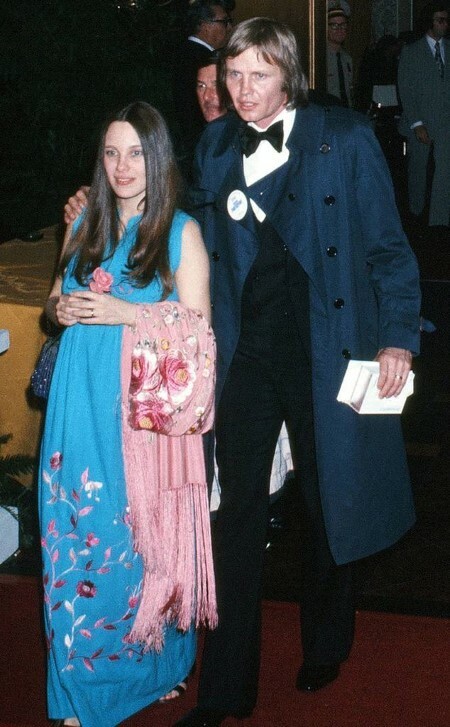 Jolie was 2 when Voight and her mother, Marcheline Bertrand, divorced and she credits Bertrand with raising her and her brother, James Haven, on her own, with financial support from Voight. Jolie remained very close with her family until Bertrand's death from cancer in 2007. When Jolie became a mom herself, she talked about how Bertrand influenced her own approach to parenting. "My mom always made it clear that I was her friend—and that is a lesson on how to bring up my own children. When we talked, I felt she wanted to hear what I had to say. She enjoyed me and I feel I'm enjoying my kids. If anybody ever tells me that I am a mother to them like my mom was to me, it will be a great compliment." Joile was in several marital relationships in the past. Her first husband was Jonny Lee Miller with whom she married in 1996 and separated in 2000. After that, she again married to Billy Bob Thornton in 2000 and divorced in 2003. Joile later married Brad Pitt in 2014 but separated in 2016. "I know how much she would have contributed to my kids lives and I am sad they will miss out on that. I would give anything for her to be with me at this time. I've needed her. I talk to her often in my mind and try to think what she might say and how she might guide me." Ironically, it was also Jolie's surprisingly messy divorce which brought her dad back into her life in a new, meaningful way. After a few months of Jolie's divorce, Voight told tabloids in December 2016, "She's holding on." When Joile attended her first Academy Awards in 1986 with Voight, he was nominated for Runaway Train. At that time he again talked about Joile. Voight reminisced about a photo from that night in 2014. "I'm proud of the way they've turned out. Angelina has to deal with fame in a way I never had to. She once said that she learned a lot about acting by noticing how I would observe people in everyday life in order to become like them. I'm fascinated by people." "I did not want to be Voight, as an actress, because people would react to the name. Dad always used to apologize, when I was young, for the fact that articles described me as Jon Voight's daughter." "I didn't feel that close to my father. I felt more of my mother's daughter when I was a child. So that was one part of it." "I think it's probably healthy not to put too much thought into that. It's an interesting thing, because I think we speak to each other a lot through our work. You don't really know your parents in a certain way, and they don't really know you. Like, you know, he met my husband and we'd go to dinner, but he still had his opinion of me as his daughter." "So he can kind of watch a film and see how I am as a woman, the way I am dealing with a husband who's been injured or the way I am crying alone. And it's the same for me: I can watch films of his and just see who he is. But not growing up in the same house and feeling that he really did belong to the world... as I've gotten older I learned to communicate with him as a person." "I'm so in love with my brother right now, Dad, you're a great actor but you're a better father. My dad's mother had his in a goldfish bowl or something, on the mantelpiece in New York. It was, like, way up and I never held it. You just kind of figure it's the strange thing in grandma's house." "He told me that that was one of the biggest compliments somebody could give him, that it was so important to be a great father and so it was a really special night for everybody in my family." But something went terribly wrong over the next year because, on Aug 1, 2002, Voight infamously said Jolie is suffering from mental problem. "I ran to give her a hug, and one of her representatives stepped in my way and said, Get back. She's been staying away from me because she knows I've been trying to reach her to get help. She was suffering from serious emotional problems that I have witnessed very closely. I've always been there for my kids, always been there for the family." "I don't hold any anger toward him. I don't believe that somebody's family becomes their blood. Because my son's adopted, and families are earned. When I had the final argument/disappointment with my father—we've had many off and on—I had thought we were breaking ground, and I realized we simply weren't." "We were back to where we always were, not a place where I felt healthy or good when I was around him. And it's simply that. There's no anger. I feel for him. I feel if he's got problems, maybe he thinks I do. We all do, maybe, but the number of tears shed growing up, and the number of screaming matches and the number of insecurities seen on my mother and my brother because of fights and things said is simply not healthy. "I have to be strong for my son, and I don't want to have in his environment something that upsets me and makes his mother not as strong. St it's simple no negative feelings, it is just not healthy for me to have that contact with my father." She told Marie Claire that all wasn't perfect but they were in each other's lives again. "He's met the kids and they've met him, and I think that's important that they can do that," Jolie said in the January 2012 issue. "We're in each other's lives, but we don't, as a rule, discuss the past. When my mother passed, I had to be the one to call him and tell him. I was going to write it in a letter because I hadn't spoken to him in six years, but I realized that I had to make a phone call. We spoke for about two minutes. I wasn't calling to take care of him. I was calling to pass on information. So it was a very brief conversation." Back in 2013, however, Voight claimed they were "back on track." Recently people took note when Voight joined in September 2017 for the New York premiere of Jolie's latest directorial effort First They Killed My Father, their first time at the same event, on purpose, in years. Voight recently grows one of Hollywood's more well-known conservatives. Meanwhile, Jolie is more cause than candidate-driven when it comes to politics, one can guess which way the longtime humanitarian activist leans. Jolie acknowledged, "We don't really talk politics well, We talk art very well." Politics aside, things calmed down in Jolie's life somewhat or at least they're back to their normal rhythm. She'll be making a return to the big screen in Maleficent 2. Jolie remains a tireless advocate for better conditions around the world for women and children. Voight is back in the loop, enough to know when we caught up with him in December that his daughter's latest movie is wrapped. Angelina Jolie's relationship was quite bitter with her father Voight in the previous years, however, their relationship is far better nowadays. They are sharing their personal views related to each other which confirms they certainly reconciled to some extent.